The 1 Online Business website provides no information about who owns or runs the company. If you visit the website without a referral code however, you are automatically assigned Jeff Long as your referring affiliate. 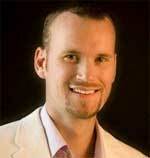 Jeff Long has the affiliate referral id “1”, which is the first affiliate account created in the system. The marketing video shown on the 1 Online Business website is also hosted on a YouTube channel bearing Jeff Long’s name. Finally, the 1 Online Business website domain (“1onlinebusiness.com”) was registered by Long on July 12th, 2016. Jeff Long (right) first appeared on BehindMLM’s radar as the founder of AutoXTen, a recruitment scheme launched in 2011. Alexa traffic statistics for the Get Paid Social website show a steady decline throughout 2016. This has likely prompted Long to launch 1 Online Business. Read on for a full review of the 1 Online Business MLM opportunity. 1 Online Business has no retailable products or services, with affiliates only able to market 1 Online Business affiliate membership itself. The 1 Online Business compensation plan consists of three components, a three-tier cycler, an investment scheme and getting paid to complete tasks. 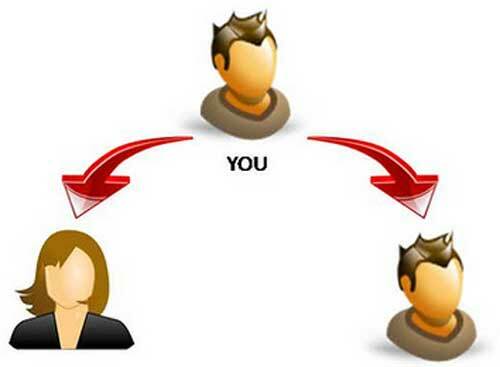 1 Online Business affiliates purchase positions in three separate 2×1 matrix cyclers. Once both positions are filled (via position purchases by other affiliates), a “cycle” is triggered. Referral commissions are paid when recruited affiliates cycle out of the Gratitude or Associate Stages. 1 Online Business affiliates deposit $25 to $250 on the promise of a $100 to $2000 ROI. 1 Online Business affiliates are able to create “tasks” they wish other 1 Online Business affiliates to undertake. From what I gather, these tasks are mostly of the social media manipulation variety. 1 Online Business affiliates who set a task pay those who undertake it 3 cents to 25 cents upon completion. Note that all fees charged and commissions paid in 1 Online Business are processed in bitcoin. 1 Online Business basically takes the Facebook spam component of Get Paid Social, and combines it with four layers of Ponzi fraud. The tasks are a means to an end, allowing 1 Online Business affiliates to hire others to manipulate social media. The real money is in the rest of the compensation plan, which utilizes four different Ponzi models. The Gratitude, Associate and AssociateX Stages all recycle newly invested funds to pay off existing investors. A cycler position holds the investment, with a ROI paid out when two new position investments are placed below it. The Gratitude and Associate Stages aren’t a 1:1 exchange of money, as they both have pyramid recruitment commissions built in. The AssociateX Stage is a straight $500 in, $250 out system, with a ROI achieved over time (multiple cycles throughout the one year subscription period). The direct investment scheme is billed as “Community Sponsored Causes”. The mechanics behind this model see 1 Online Business affiliates deposit funds on the promise of a 400% ROI. All four sources are affiliate funds, creating a closed loop of new affiliate funds used to pay off existing affiliates. This is Ponzi fraud. The primary difference between 1 Online Business and Jeff Long’s other scams over the years is the use of bitcoin. Long will have set him up one or more preloaded positions in each tier of the 1 Online Business, guaranteeing he is first to receive a financial windfall. Whether that winds up being the majority of funds deposited is determined by how rigged allocated payments within the system are. Not withstanding phantom positions created off of Long’s initial admin positions. In any event, once affiliate recruitment dies down so too will new funds entering the system. This will eventually cause a collapse, as all commissions paid within 1 Online Business are sourced from newly deposited funds. Reinvestment by existing affiliates will prolong the collapse, but eventually the system will be starved of funds regardless. The mathematics behind a Ponzi scheme guarantees that the majority of 1 Online Business affiliates will lose money. Two weeks in, it is already crumbling!!!!!!!! Fake member counter & fake payout counter on front page! Jeff has set up multiple preloaded positions on top. That fake payout counter is the most hilarious one of all. Some of the information on here is terribly incorrect!! Please re-do your homework and come back with screenshots! Some of the information on here is terribly incorrect!! Please re-do your homework and come back with screenshots! Screenshots of what exactly? And how does a screenshot negate a fraudulent Ponzi business model anyways? Especially all those fees you need to pay that is mentioned in the review, I have never seen those fees and I’m with 10B 3 weeks now! Not all businesses are gaurenteed to succeed, that’s why it’s a risk with any new business, but obviously you don’t know that, because you even failed to do proper research! The review is date-stamped and the fees were accurate at the time of publication. Wait, you’re not one of those people who thinks using money you’ve stolen to continue to fund your participation in a Ponzi scheme is “free money” are you? Yeah, that doesn’t justify Ponzi fraud. Lol, love your comebacks! Definitely going to use the tin-can response..
Anyways at the time this review got published I was already a member! So yes I would know what cost is/was involved at the time. No I don’t want anyones money, I don’t force someone to do something if they don’t want to, its their choice, so no I’m not one of those people. im not justify any ponzi scheme!! Anyways at the time this review got published I was already a member! Right. So you’re one of the people who thinks if the money doesn’t come out of your hip pocket it’s “free”. Which is why you’re in a Ponzi scheme stealing from people who join after you. Riiiiiiight. I don’t force someone to do something if they don’t want to,its their choice,so no I’m not one of those people. Fraud is fraud, whether you force people to invest or not is neither here nor there. im not justify any ponzi scheme!! You just tell them the ponzi scheme you’re promoting is a legitimate business, then steal their money. I paid to join out of my own pocket, we don’t steal money. Believe what you want if that tickles your fancy! I’ve got better things to waste my time on, TOODLES. Nikita, as someone who has seen Jeff Long defraud people time and again, I will say this. He’s dishonest, and steals without remorse. Are you so poorly schooled there in Port Elizabeth, South Africa that you cannot even do simple Google research into his past on your own? I paid to join out of my own pocket, we don’t steal money. Of course you do, that’s how a Ponzi scheme works. I’ve got better things to waste my time on, TOODLES. Best of luck with the scamming. Im a member of 1OB and very dissapointed. i will discontinue my membership this June. Imagine paying $10 per month for the “platform fee” and no proper training in place, only hype on his video. He is the only one who are earning, imagine we are 20,000 members here and paying $10 per month, thats a clean $200,000. plus on top the structure is his name all the “donations” goes to his pocket, not to mention the ewallet fees everytime you requested for your payout. Plus the scam in he called “opportunity vault” all the direct ref link all in his name. Yu Blueit: as someone who has seen Jeff Long defraud people time and again, I will say this. He’s dishonest, and steals without remorse. Yep! He has already defrauded hundreds if not thousands of people who joined 1OnlineBusiness in pre-launch who he conned many into paying him hundreds of dollars worth of bitcoin for special “lifetime” upgrades and “abundance pool” purchases that they never received because he completely changed the entire program when it launched in April! He has also changed the compensation plan 3 times since and totally eliminated the task marketplace which was the reason the biggest part of the 29,000 members joined in the first place so they could earn bitcoin for free without having to pay anything! These comp plan changes screwed all his top leaders and their big teams he brought in at launch that he placed ahead of the pre-launch members in the $30,000 a month “Prosperity Tree” who all donated $1320 plus processing fees and platform fees in bitcoin to position themselves in all 5 Phases believing they were going to earn an easy $30,000+ a month! Now most of those leaders and their teams has quietly backed away from 1OB and is promoting other deals. So next, in comes Jeff’s buddy Franco Gonzalez out of the blue with his training videos and a marketing funnel I’m sure will cost the members more money or bitcoin if they want to use it to recruit new members and “get more donations”! The pre-launch members has been waiting 3 months to receive the refunds he promised for those pre-launch purchases and all they get is lies and the runaround while he takes off on vacation and then cooks up more new ways to avoid paying them back the bitcoin they are owed while at the same time conning unsuspecting new members into paying him more bitcoin for a $100 a share advertising coop! Let’s see.. he blamed the members for initiating chargebacks that shut down his merchant account for upgrades they never received, after he lied and refused to communicate then wouldn’t pay members their earnings and commissions owed as the excuse for the failure of GetPaidSocial. So I suppose he’ll once again blame the members also when 1OB collapses as well. I fell for Jeff Long’s GetPaidSocial scam which was nothing but a series of delays, glitches and excuses (he would always tell us how hard he was working to get us paid)! but the only one who got paid was Jeff. Now he’s back for more! And, lucky me, he kept me on his sucker list! PASS!!! Mining Bitcoin indeed! The only mining he’ll be doing is in the pockets of a gullible and vulnerable public. This character belongs in jail! Wants to feed to worlds homeless. Different membership levels, but I got bored with the website and stopped looking.